Learn about the environmental challenges facing data centers. As demands for network bandwidth continues to increase due to billions of online users, data center pollution has become a growing environmental concern. Although most people don’t really know where the power to stream movies or download videos comes from, the public does become aware of data centers when network grids overload and lead to a brownout. As online activity has mushroomed to nearly unmanageable proportions, data centers have become the beating digital pulse that sustains networks throughout the world. A piece on the Ciena website, (1) shed some light on the proliferation of data centers, citing statistics that show there are more than 7,500 data centers in the world, with a third of them located in 20 of the biggest cities on earth. Furthermore, data center construction is expected to increase by 21 percent through 2018, as demand for networks continues to grow. In the U.S., California leads all states with more than 300 data centers, second in the world only to London, which has 337 data centers. But the growth of data centers does not come without an environmental cost. Data centers require power to operate, which means the construction of new power plants to keep these facilities running. In fact, more than 40 percent of the entire operating costs of a data center are spent on the power needed to keep these facilities running. This includes the costs of cooling the equipment to prevent malfunctions. People who binge-watch their favorite streaming TV series are not often aware that the power to keep that streaming channel running has an environmental cost. Per The Guardian, (3) data centers throughout the world are contributing two percent of total global greenhouse gas emissions, which is nearly equivalent to the emissions from aircraft. One example may help you understand how consuming content has a direct effect on the power necessary to keep that content streaming: Watching a 10-minute video of cute cats doing cute things on YouTube releases one gram of carbon dioxide into the atmosphere. One of the lesser-known aspects about powering data centers is that many of the largest companies building the largest data centers fail to report fossil fuel usage in their emissions. Lux Research estimated that Google’s massive data center in Berkeley County, South Carolina derives 62 percent of its power from fossil fuels, although the company reports fossil fuel usage at 35 percent. Similarly, Amazon reports that its 23 data centers in Virginia only derive 35 percent of their power from fossil fuels, but Lux Research estimated that usage to be closer to 43 percent. Furthermore, fossil fuel burning is also a primary component of smog and pollution, and releases harmful pollutants such as sulfur dioxide, nitrogen dioxide, particulate matter (PM), and mercury. Mindful of the public relations nightmare associated with using fossil fuels, some of the bigger companies such as Google are starting to invest heavily in clean, renewable energy, which provides some hope for the future as data center construction continues to grow. 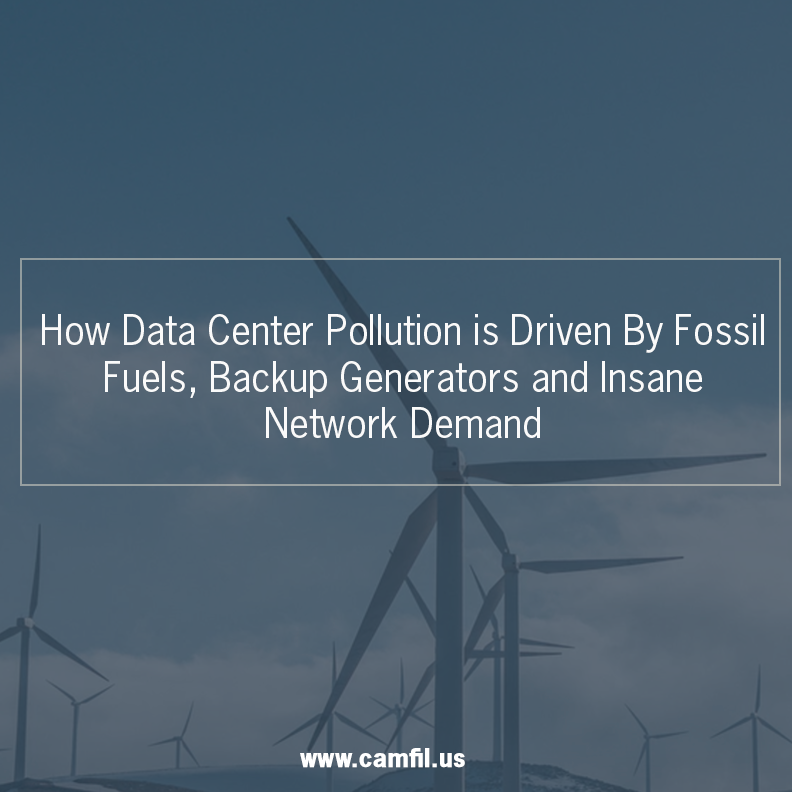 Camfil understands the need to reduce data center air filtration , and knows the special requirements of data centers, including the proper cooling environment, and facilities where pollutants need to be controlled. We can help data center operators reduce their energy costs by as much as 40 percent by providing air filters that are efficient. 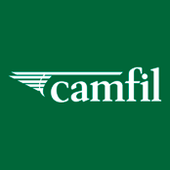 Please visit data center air filtration video for more information about Camfil air filters for data centers.